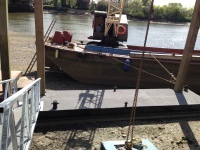 We have successfully installed tidal and non-tidal moorings for private customers as well as larger construction jobs all along the River. 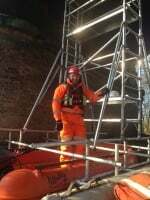 We can design and build new installations as well as assess and repair your current structures. 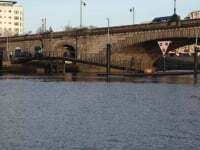 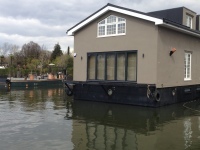 Our flood defence and river bank protection works protect properties along the river from the City to private residences. 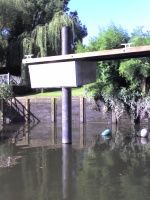 All manner of sheet piling works can be undertaken, from heavy to light wall steel on both tidal and non-tidal River Thames waters. 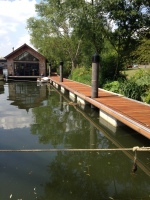 We install mooring piles for private and commercial customers whether they require single (one-off) piles or multiple piles for full marina installations. 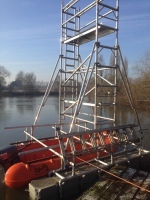 Our fleet of vessels and staff are available for hire. 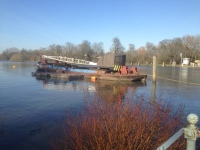 The Crane Barge and Tug are fully licensed by the PLA and insured, and crews have all relevant qualifications. 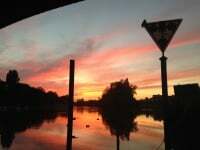 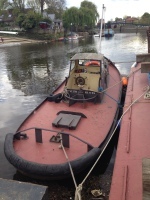 Tug Boat - Teddington (and crew) are available for towing services along the River Thames (and tributaries) down to Denton. 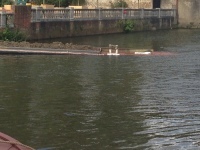 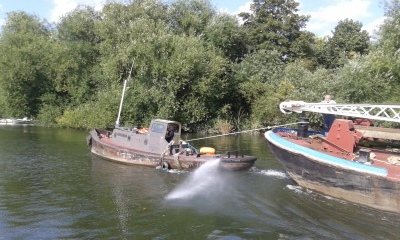 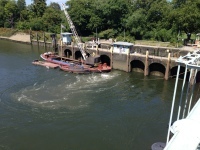 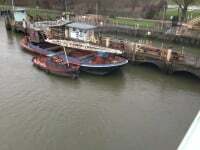 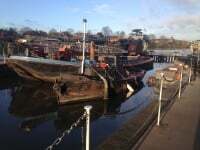 Pat Walsh Ltd can undertake most salvage operations on the River Thames. For those riparian owners who require a skip for riverside or isand construction works, Pat Walsh Ltd is able to arrange the delivery and pick up of skips and building materials. 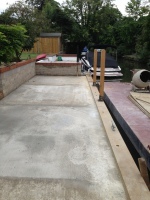 We will be pleased to design and install bespoke moorings which can be tailored to suit your individual circumstances. 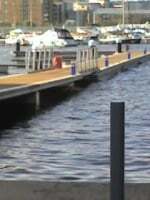 These can range from floating buoys to fixed jetty moorings, single or multiple piles with travellers to accomodate tidal variations. 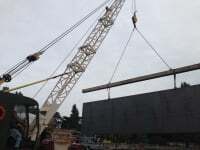 We can also handle the licenses for these structures and consultation with the PLA. 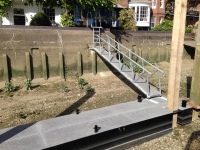 We can design, plan and install bespoke landing stages and jetties, individually designed to match your exact requirements, location and situation. 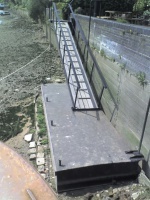 Pat Walsh Ltd will be happy to handle all PLA licensing issues and Local Authority Planning issues that are required in the installation of these structures. 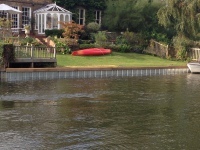 We handle sheet piling, wooden frontages, gabion baskets, concrete and brick retaining walls to match the specifications and requirements of your flood defence and riverbank protection needs. 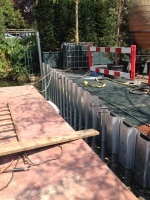 From heavy-gauge steel sheet piling to galvanised light-weight sheets, Pat Walsh Ltd can order, install, and complete your sheet piling needs. 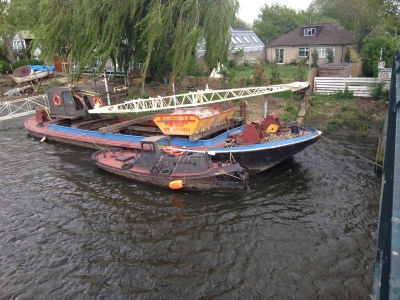 Our towing service will bring all materials to site and crane barge Bertha is the perfect platform for the installation of sheet piles on the River. 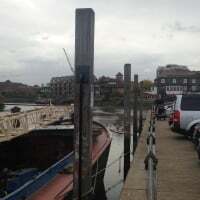 Pat Walsh Ltd are experts at installing mooring piles and over the years we have handled all manner of jobs, from single wooden mooring piles to multiple steel-tube installations for marinas and riparian owners. 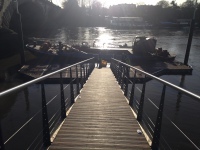 We can source, deliver and install piles of varying sizes and we are happy to handle the PLA and Local Authority planning processes on your behalf. 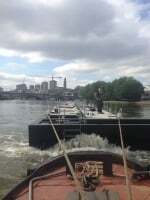 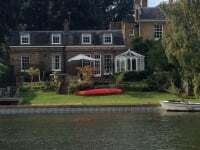 Crane Barge - Bertha and Tug - Teddington are fully crewed, licensed and insured and are available for hire for jobs on the River Thames and its tributaries (draft permitting). 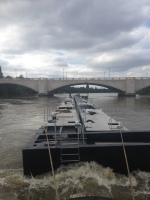 The crane barge has a maximum load of 20 tonnes and the crane itself has a maximum lift of 5 tonnes (afloat). 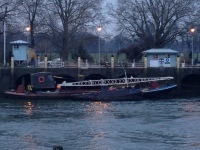 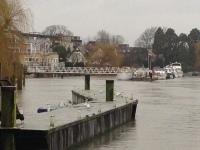 ​Tug - Teddington and crew are available for hire for your towing needs on the River Thames. 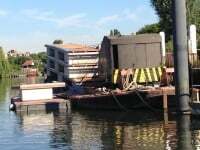 We have towed house boats and other vessels for both private residents and construction companies all along the river and can tow floating pontoons and larger vessels as required. 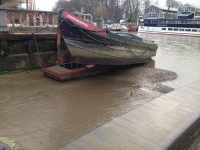 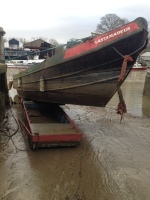 Pat Walsh Ltd can handle most of your salvage needs on the River Thames. 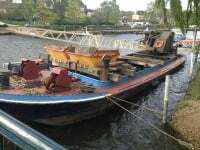 ​For riverside and island properties we can handle the delivery and removal of skips, building materials and other items to your property via the water. 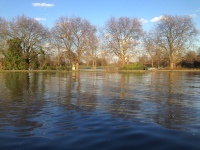 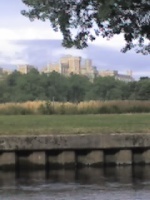 ​hot-tubs, trees and various building materials to riparian dwellers along the whole length of the River Thames.